Wednesday, October 30, 2013, at approximately 4:55 pm, the PNC Bank located at 505 Thornall Street, Edison, NJ, was robbed. The subject wore a two tone winter jacket with the hood up. Thursday, November 7, 2013 – At approximately 6:59 pm, the TD Bank located at 989 Burnt Tavern Road, Brick, NJ, was robbed. The subject wore large sunglasses and a windbreaker. Friday, November 15, 2013 – At approximately 5:40 pm, the Santander Bank located at 17 Beaverson Blvd, Brick, NJ, was robbed. The subject wore a black hooded sweatshirt and a covering over his face. Wednesday, November 27, 2013 – At approximately 9:04 am, the Columbia Bank, located at 245 Talmadge Road, Edison, NJ, was robbed. The subject wore a gray sweatshirt, black sweatpants and a wig. 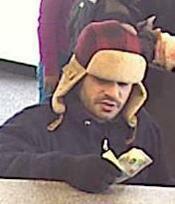 Monday, December 02, 2013 – At approximately 11:55 am, the TD Bank, located 2338 Route 9, Toms River, NJ, was robbed. 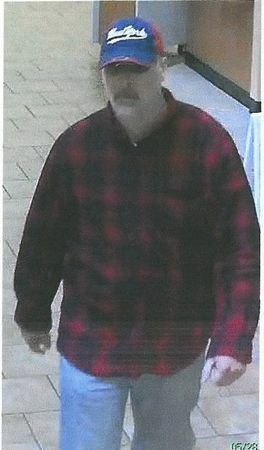 The subject wore a red and black plaid hunters hat and a black jacket. A man wearing a ski mask robbed the Wells Fargo Bank in the ShopRite shopping center on Route 130 this morning, police said. 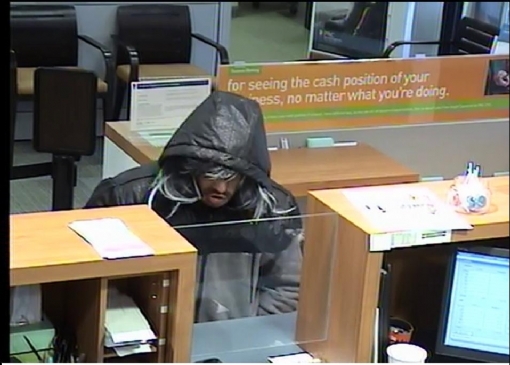 The man entered the bank, located at 396 Renaissance Blvd., about 11:40 a.m. wearing a ski mask. He approached a teller and demanded money, said North Brunswick police Capt. Roger Reinson. The robber did not display a weapon, Reinson said. At one point, the man tapped on the counter and said, “Please hurry up,” according to police. The man ran from the bank with an undisclosed amount of money and got into a Silver Toyota Yaris, which sped away on Route 130 South, Reinson said. The robber was 5-feet 8-inches to 5-feet 10-inches tall with a stocky build. Anyone with information may contact North Brunswick police at 732-247-0922. On 05/22/2013 at 1704 hours the PNC Bank inside of Stop and Shop in Monroe was robbed. 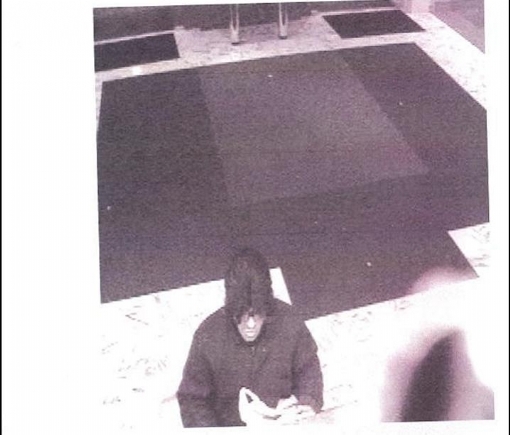 The above pictured individual handed the teller a note and fled the bank with an unknown amount of money. Possible vehicle involved was described as a gray Toyota Corolla. This actor is also a suspect in a Bank Robbery that occurred on the same day in Franklin Twp. (Somerset County) at a PNC Bank inside of a Stop and Shop. The suspect made reference to a gun but no weapon was shown. There is a $2500 reward for information leading to this subject`s arrest. Any agencies with any information please contact Det. Dziomba #88 at 732-521-0222. Garden State Community Bank located at 1162 Green Street, Iselin was robbed on Monday, March 21, 2011 at 11:50 A.M. The suspect passed a demand note that threatened that he had a weapon. The suspect received an undisclosed amount of cash and fled on foot. The suspect is described as follows: White male, 6’, stocky build but wearing bulky clothes. Acne blemishes on face cheeks. <?xml:namespace prefix = o ns = "urn:schemas-microsoft-com:office:office" />If you have any information please contact this web site. 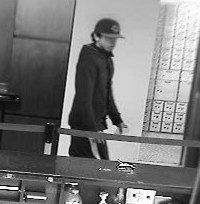 On May 17, 2011 at 2:30 PM the Wells Fargo Bank located at 4801 Stelton Road in South Plainfield was robbed by the above pictured individual. The suspect passed a note to the teller demanding cash. The suspect then fled the bank. The suspect was a Hispanic male in his late teens to early twenties, 5`6" to 5`8" tall, thin build and clean shaven. The suspect was wearing a black Cincinnati Reds baseball cap, a black jacket and black pants with a white stripe. If you have any information please contact this web site. On December 23, 2010 at approximately 11:00AM an armed gunman entered and robbed the Wachovia Bank located at the corner of Perrineville Road and Prospect Plains Road (Concordia Shopping Center) in Monroe Township (Middlesex County). The suspect was armed with a weapon and approached each teller demanding money. The suspect fled the scene and entered a stolen silver Dodge Stratus driven by a second suspect. The vehicle was discovered a few miles from the scene and had been stolen from Elizabeth, New Jersey. The first suspect was described as a male (Unknown race), tall, heavy set wearing a gray hooded zip up sweatshirt, gray nylon running pants, dark gloves and a gray cloth mask (Believed to be made from a cut off sleeve from a gray waffle material shirt). The suspect was carrying a bag with a draw string.The driver of the getaway vehicle was only described as a large black male. Anyone with any information should submit a tip through this web site. 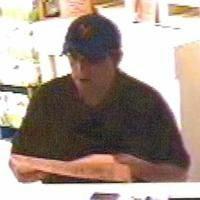 On August 27, 2010 at 10:00 AM the pictured male suspect robbed the Garden State Community Bank located in the Pathmark on Route 9 North in Old Bridge, New Jersey. The suspect demanded money from the teller asking for large bills. The suspect fled on foot. The suspect was wearing a brown polo shirt, tan shorts and a blue baseball hat with the New York Mets logo. Please contact this web site if you have any information about this crime. 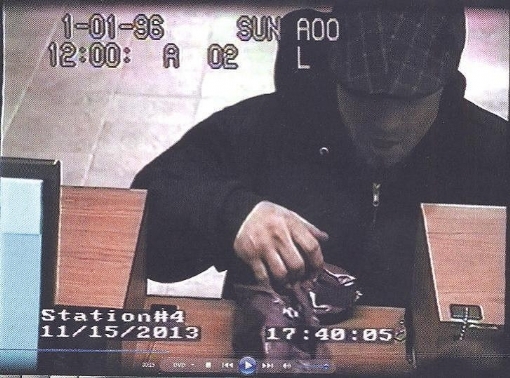 On November 15, 2010 at 1:58PM the New Millenium Bank located at 57 Livingston Avenue in New Brunswick was robbed. The suspect enetered the bank through the front door and demanded money. After receiving the money the suspect left through the same door. The suspect had a moustache and was wearing a black hat, safety glasses, a dust mask covering his chin and goggles on top of his head. If anyone has any information on this robbery please submit a tip through this website. On May 4, 2009 at 9:32AM a black male walked into the New Millenium Bank located at 57 Livingston Avenue through the front door. The suspect handed the teller a note that demanded money. The suspect left through the same door after receiving the money. The suspect was wearing wrap around sunglasses, had a moustache and was wearing a dark baseball hat with, "Brogan" on the front. (Brogan was the name of a car dealership from North Brunswick). If anyone has information about this robbery please sumit a tip through this website. On May 17, 2011 at 11:10AM, the New Millenium Bank located at 57 Livingston Avenue in New Brunswick was robbed. The suspect walked into the bank and went directly to the teller and demanded cash. The suspect was handed the cash and left through the front door. The suspect`s photo was taken by bank survelliance cameras. 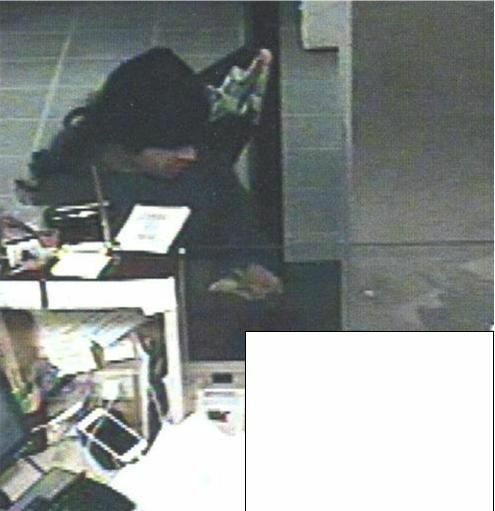 The suspect is wearing a woman`s woven hat with a black rag under the hat (Which is not visible in this photograph), two large band aids on his face and glasses. If anyone had any information regarding this crime please respond through this web site.